When it comes to maintaining optimal oral health, most people tend to keep an eye on potential signs of problems like cavities, TMJ disorder, or gum disease. 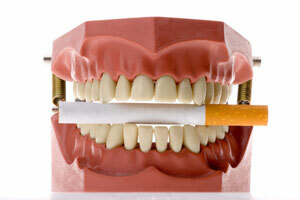 Have you ever stopped and wondered if you could be suffering from oral cancer, though? While oral cancer isn’t as well-known as some of the other dental conditions, the numbers associated it with are frightening – in fact, one American every hour dies from the disease. Additionally, tens of thousands of people will be diagnosed with this year, and only half of them will go on to survive more than five years. Don’t panic just yet, though! If oral cancer is caught early on, the chances of successful treatment are raised significantly, so don’t waste time. At D’Amico and Mauck, DDS in Aurora, CO, we take the threat of oral cancer very seriously, and we’ll make sure to look for any signs of it each and every time you come in to see us. A sore in the mouth that bleeds easily and doesn’t show signs of healing. However, keep in mind that Dr. D’Amico and Dr. Mauck should be your first line of defense against oral cancer. By attending regular check-ups every six months, our team will have an opportunity to thoroughly inspect your mouth and take note of any areas that seem suspicious. While oral cancer often occurs in patients who use tobacco and/or alcohol, it’s important to remember that nearly a fourth of affected patients never participated in any known risk factors. Our team is dedicated to helping you maintain your oral health and keeping your smile strong. Contact our Aurora office today to schedule an appointment. We welcome patients from the greater Denver area, including Centennial, Eaglewood, and Parker.